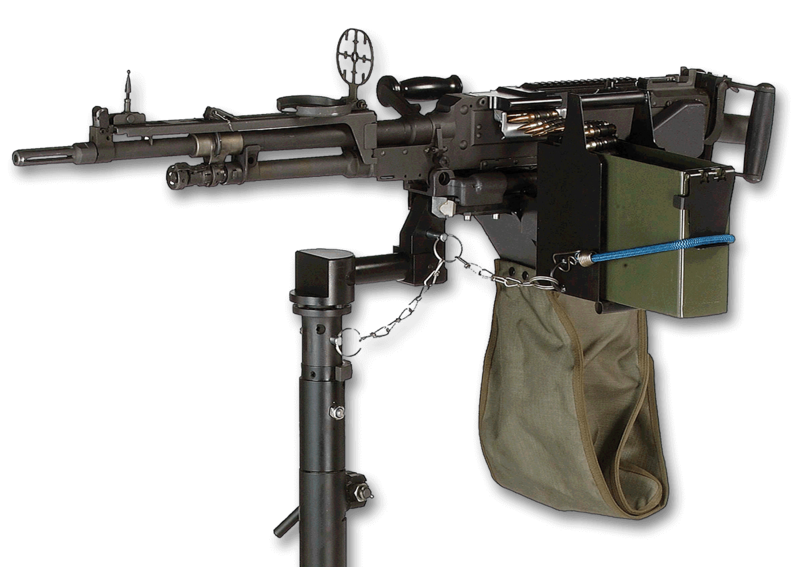 The spade-gripped FN® M240D is the U.S. standard pintle-mounted medium machine gun for naval, vehicle, and combat aircraft applications. An optional egress kit is available consisting of a buttstock, pistol grip trigger assembly and bipod to enable a vehicle’s crew to instantly convert the M240D for ground combat. The M240D’s cold hammer-forged MIL-SPEC barrel has a hard-chromed bore for longer life and improved accuracy. The receiver is solid machined steel and is equipped with a top-mounted MIL-STD-1913 optical rail. The crossbolt safety and curved trigger help enhance operator control. Includes one spare barrel.